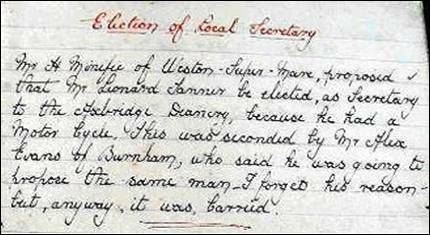 The minutes of a 1927 Axbridge Branch meeting, proving that even Branch Secretaries are human! And covering Tom coms rowling in the rear. We ring the quick to church, the dead to grave. Good is our life such usage let us have. Such shall pay sixpence for each single crime. T’will make him more cautious gainst another time. To use the same in love and unity. 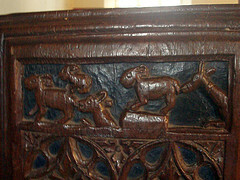 Carving at Kingsbury Episcopi Church. Photo by Mark Harris. 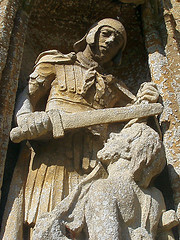 A statue of St Martin of Tours, to whom the church is dedicated. 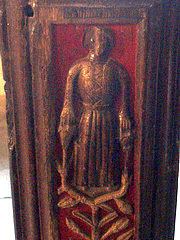 St Martin is the patron saint of soldiers, and the legend goes that on a bitterly cold night he cut his cloak in half and gave the other half to a beggar who would otherwise have died of the cold. 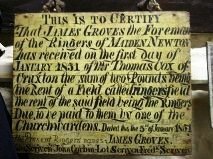 It would have been a pretty warm coat, because he was a tribune, which was a a very senior rank, so although the beggar must have been very warm as a result, St Martin must have had a chilly night! The prize money must have been very good for that period!!! The 1st prize is the equivalent of £430 today. 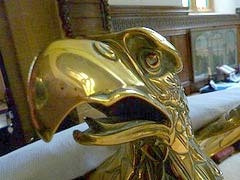 This information was supplied by Peter Bartin, and the photos were taken by Gordon Rendell. 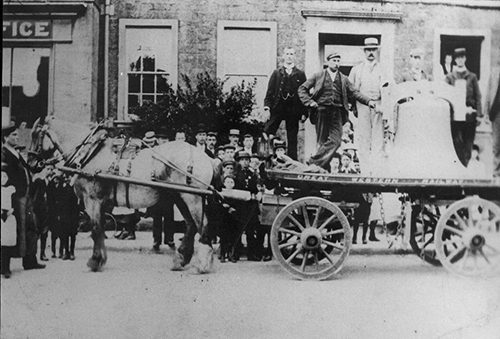 In 1902, the six bells at Ilminster were given a major overhaul. 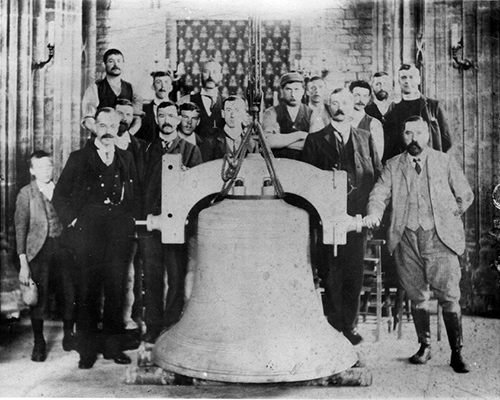 The 5th was melted down and recast by Taylors, and a new eight bell frame was installed. The new bell can be seen here arriving outside the Minster Church. One wonders how they managed to lift it off the wagon! In the second picture the bell is in the base of the tower, ready to be hauled up. A few years later, in 1907, Taylors cast two Trebles to complete the octave. Thus the bell in the photos became the 7th of the present ring. 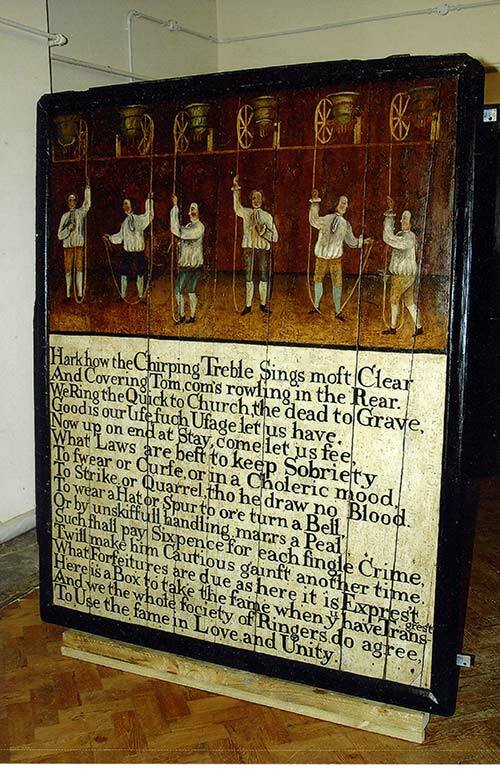 The ringers at Carhampton, in Somerset, are not going to be allowed to forget their New Year's Resolutions! 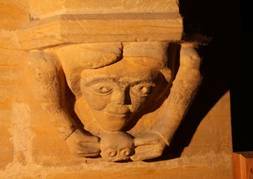 This funny little fellow sits quietly and watches the ringers at Maperton, near Wincanton, Somerset! 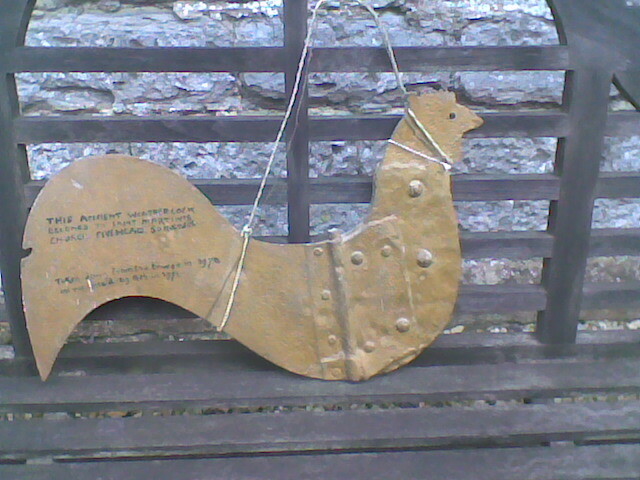 Fivehead, on the Somerset Levels, has a fascinating ancient weathercock in the belfry. 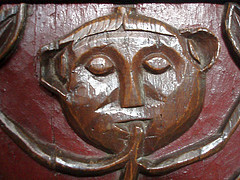 Monksilver Church in Somerset has some amazing carvings. 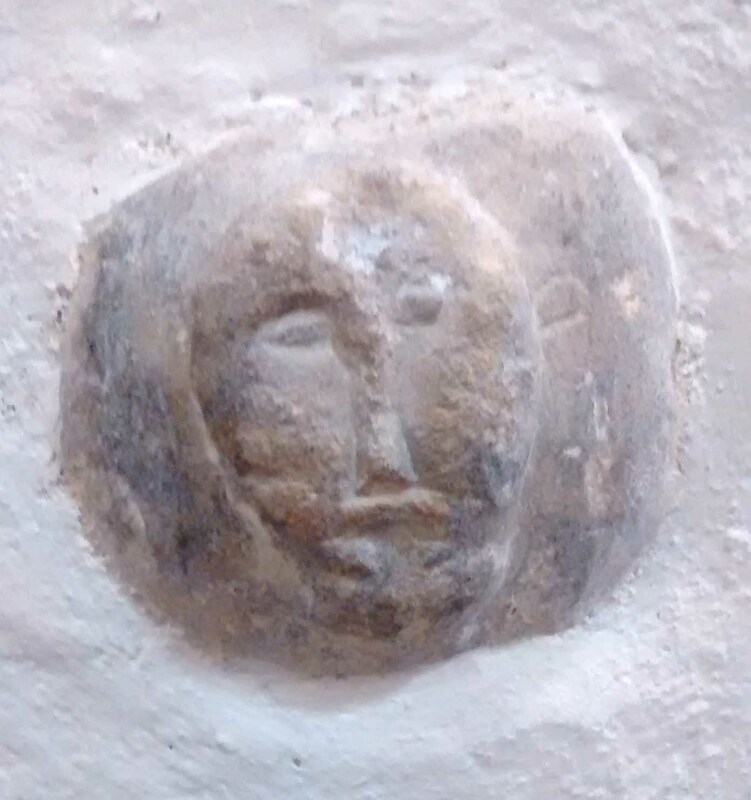 The one opposite is thought locally to feature King Edward 1 (King Edward the Confessor), who is believed to have commissioned the building of the church. Poor King Edward was known for having rotten teeth. 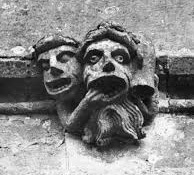 As the stonemasons were badly paid, this was their way of mocking their paymaster for their low wages. We are grateful to the Landlord of The Notley Arms who provided this information after our excellent lunch there. 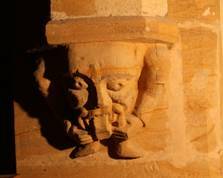 The bells at Stanway have been tuned and rehung, and augmented to five. They were rededicated on June 21st, 2015. 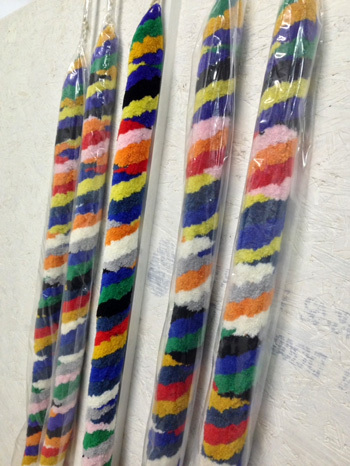 The ringers asked Mendip Ropes for "multi coloured sallies" for their new ropes! Becky was happy to oblige and created these rather unusual ropes. This was not Becky's first departure from the traditional colours. 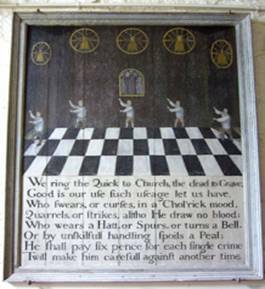 A few years ago, the ringers at Ash, in Somerset, were discussing colours and one elderly ringer suggested pink! Soon afterwards he died, and if you look carefully at the Tenor rope you will find a small flash of pink which was put in in his memory! 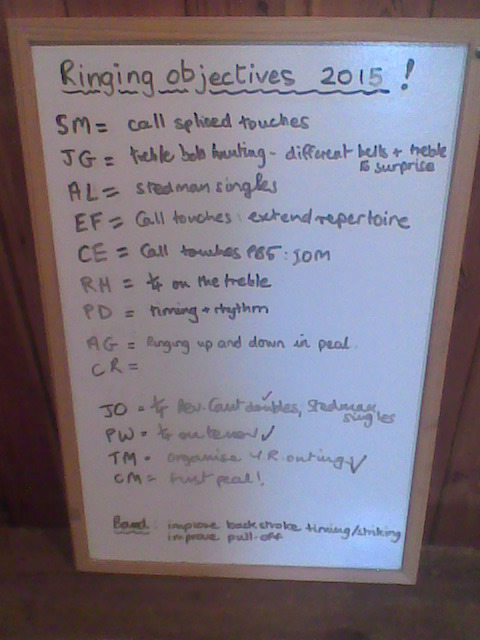 John Coleman, of Cattistock, Dorset, (otherwise known as Icon John) has kindly sent us some of his ringing cartoons. The last cartoon here was inspired when a stay was broken at Cattistock. The Captain sent John a text asking if he could get a replacement . He sent the dimensions in centimetres. John forwarded the message to the carpenter, who assumed that the measurements were in inches! Consequently, when the new stay arrived, it was rather larger than expected!! 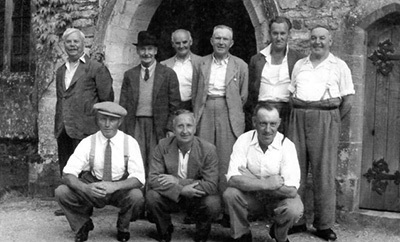 The Chardstock Ringers on their Outing, around 1959. Front Row: Albert Goff, Donald Goff, Bob Hutchings. Can anyone identify the tower where this was taken please? The current band are interested to know where it was, so if you know please send us a message through our Contact page and I’ll pass the message on.